I learned of this idea YEARS ago at a conference somewhere about something. Cannot quite remember which one. Anyway, I loved the idea so I created my own version and took it into my classroom. 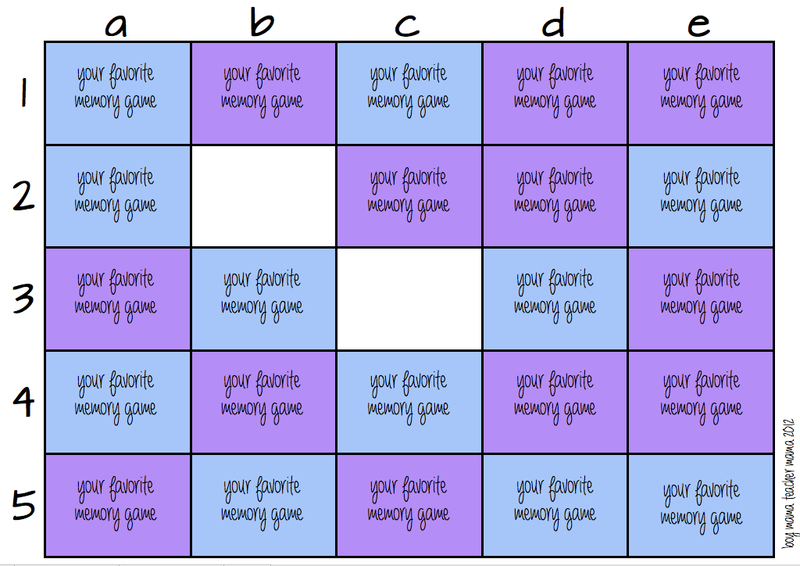 I have not been able to find the big board version of this game I made so I recreated it in a smaller size for this post. It is simple to take my small version and either enlarge it on a copy machine or create your own on poster board. 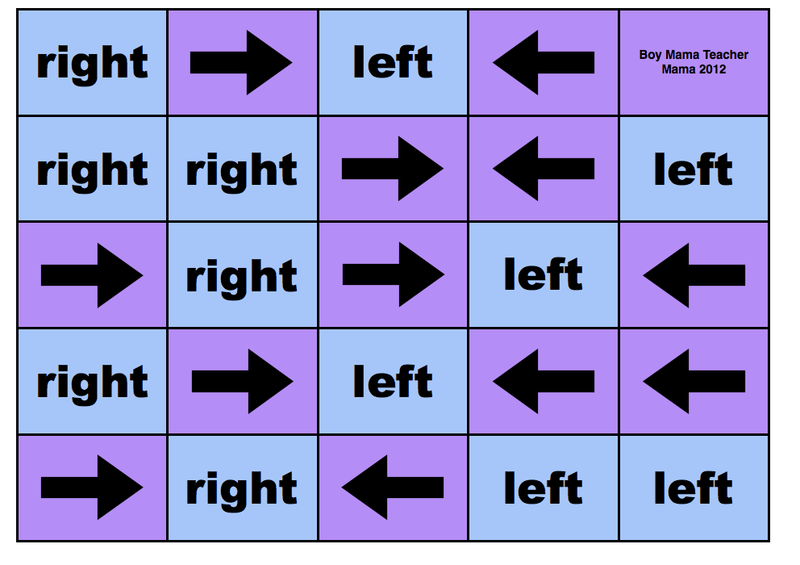 Note: For this example, I created a new Memory Game for practicing right and left, I call it, “Left and Right Memory” (I know, I know! So creative! :)) Print out the templates and cut it to make the cards for the game. Set aside. 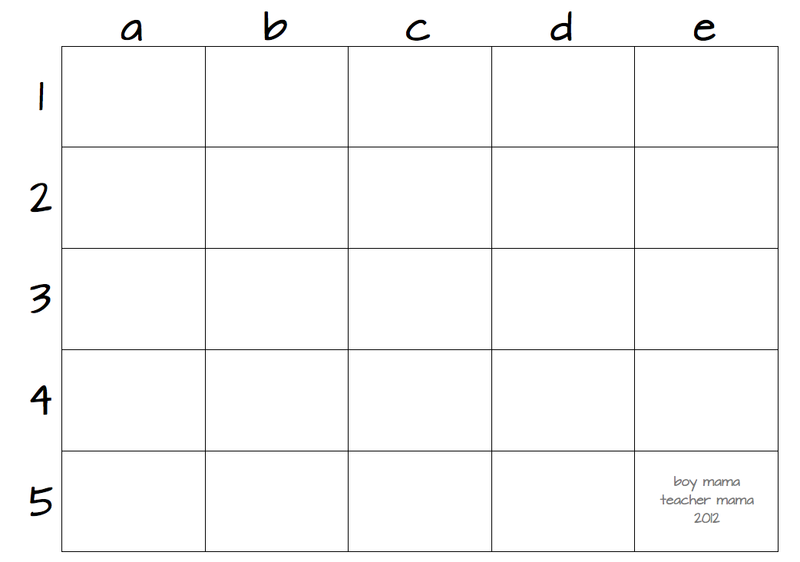 The Game Board: Print our the template or create your own game board like the one shown below. Be sure to add the letters along the top row and the numbers along the left hand row. You can do more or less spaces than I did depending on the age level you are working with. 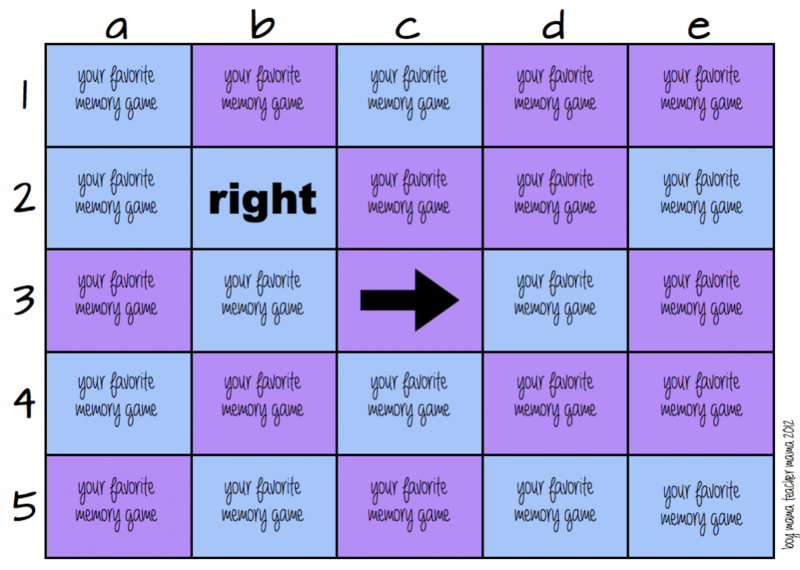 To Play: Take the cards you cut out and lay them out on the game board with the arrows and words facing down. The object of the game is to create as many pairs as possible and to clear the game board. 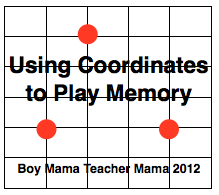 This game can be played in pairs and also makes a great whole class split into two teams game. Kids LOVE it! The first player names 2 sets of coordinates. 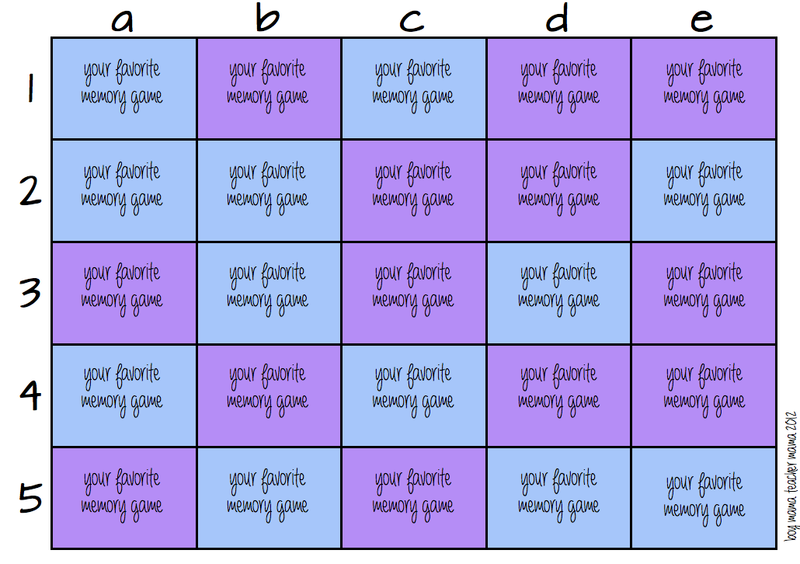 In this example, the player chose b2 and c3. The card at those coordinates are then turned over to see if a match was made. If indeed the cards match, remove them from the board. If they do not match, flip them back over and the next player takes a turn. Continue this way until the game board is empty. Use it to review concepts from earlier in the school year. 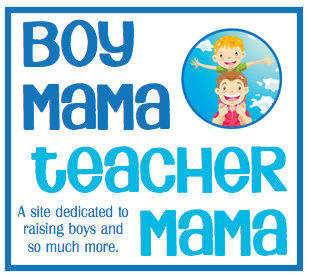 Use it to fill that time during the day where it is not long enough to start something new before lunch or dismissal. It can be adapted easily to fit any topic in any content areas. Simple introduction to mapping and graphing. When played in a large group in teams, it is great for practicing good sportsmanship! Students LOVE it and it is highly motivating.